Corner - Talleres de Córdoba. Conceded by José San Román. Víctor Figueroa - Newell's Old Boys - receive yellow card for a foul. Juan Ramírez - Talleres de Córdoba - won a free kick in attack. Daniel Opazo - Newell's Old Boys - won a free kick in defence. Mauro Ortíz - Talleres de Córdoba - won a free kick in defence. José San Román - Newell's Old Boys - won a free kick on the right wing. Corner - Newell's Old Boys. Conceded by Lucas Olaza. Joaquín Torres - Newell's Old Boys - won a free kick on the right wing. Substitution - Talleres de Córdoba. Mauro Ortíz for Fernando Godoy. Substitution - Talleres de Córdoba. Matías Pisano for Aldo Araujo. Goal! Newell's Old Boys 2, Talleres de Córdoba 1. Jerónimo Cacciabue - Newell's Old Boys - shot with right foot from the left side of the box to the right corner. Assist - Fabricio Fontanini after corner. Corner - Newell's Old Boys. Conceded by Pablo Guiñazú. Corner - Talleres de Córdoba. Conceded by Leonel Ferroni. Offside - Talleres de Córdoba. Junior Arias with a pass, however Joao Rojas is in offside. Substitution - Talleres de Córdoba. Junior Arias for Santiago Silva. Nahuel Tenaglia - Talleres de Córdoba - won a free kick on the right wing. Substitution - Newell's Old Boys. Braian Rivero for Alexis Rodríguez. Joao Rojas - Talleres de Córdoba - won a free kick in defence. Shot blocked. Joao Rojas - Talleres de Córdoba - shot with right foot from outside the box is blocked. Assist - Juan Ramírez. Juan Ramírez - Talleres de Córdoba - won a free kick on the left wing. Missed chance. Fernando Godoy - Talleres de Córdoba - shot with left foot from outside the box missed to the left. Assist - Joao Rojas. Missed chance. Alexis Rodríguez - Newell's Old Boys - shot with right foot from outside the box is high and wide to the right. Assist - Víctor Figueroa. Alexis Rodríguez - Newell's Old Boys - won a free kick on the left wing. Shot blocked. Víctor Figueroa - Newell's Old Boys - shot with right foot from outside the box is blocked. Missed chance. Joao Rojas - Talleres de Córdoba - shot with right foot from outside the box goes high . Substitution - Newell's Old Boys. Joaquín Torres for Héctor Fértoli. Santiago Silva - Talleres de Córdoba - won a free kick in defence. Offside - Talleres de Córdoba. Juan Ramírez with a pass, however Joao Rojas is in offside. Delay in match Carlos Quintana - Talleres de Córdoba - - injury. Carlos Quintana - Talleres de Córdoba - won a free kick in defence. Leonel Ferroni - Newell's Old Boys - receive yellow card for a foul. Aldo Araujo - Talleres de Córdoba - won a free kick in defence. New attacking attempt. 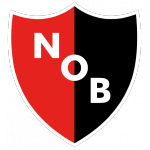 Daniel Opazo - Newell's Old Boys - shot with left foot from the left side of the box is saved by goalkeeper in the centre of the goal. Assist - Alexis Rodríguez. Second Half starts Newell's Old Boys 1, Talleres de Córdoba 1. First Half ended - Newell's Old Boys 1, Talleres de Córdoba 1. Substitution - Newell's Old Boys. Daniel Opazo for Luis Leal. 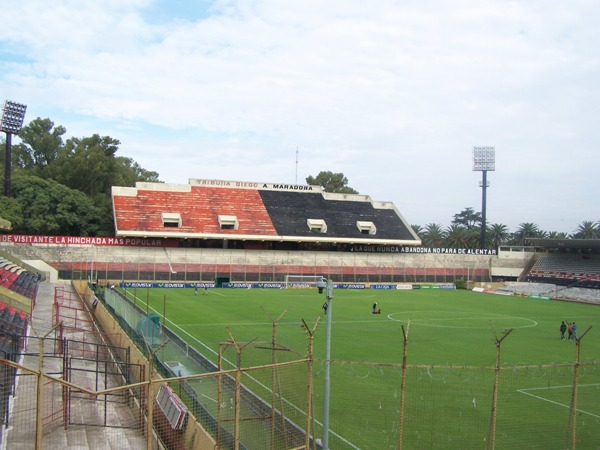 Delay in match Luis Leal - Newell's Old Boys - - injury. Víctor Figueroa - Newell's Old Boys - won a free kick on the left wing. Goal! Newell's Old Boys 1, Talleres de Córdoba 1. Santiago Silva - Talleres de Córdoba - converts the penalty with a shot with right foot to the right corner. Penalty conceded by Leonel Ferroni - Newell's Old Boys - after a foul in the penalty area. Penalty Talleres de Córdoba. Aldo Araujo draws a foul in the penalty area. New attacking attempt. Héctor Fértoli - Newell's Old Boys - shot with left foot from the centre of the box is saved in the left corner. Assist - Víctor Figueroa. New attacking attempt. 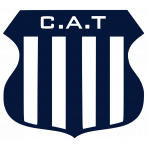 Juan Ramírez - Talleres de Córdoba - shot with left foot from outside the box is saved by goalkeeper in the centre of the goal. Assist - Joao Rojas. Pablo Guiñazú - Talleres de Córdoba - won a free kick in defence. Delay in match José San Román - Newell's Old Boys - - injury. Missed chance. Luis Leal - Newell's Old Boys - shot with right foot from the centre of the box is close, but missed. Assist - Alexis Rodríguez with a through ball. Corner - Talleres de Córdoba. Conceded by Jerónimo Cacciabue. Corner - Newell's Old Boys. Conceded by Nahuel Tenaglia. New attacking attempt. Alexis Rodríguez - Newell's Old Boys - shot with right foot from outside the box is saved by goalkeeper in the centre of the goal. Assist - Jerónimo Cacciabue. Delay in match Nahuel Tenaglia - Talleres de Córdoba - - injury. Nahuel Tenaglia - Talleres de Córdoba - won a free kick in attack. Shot blocked. Alexis Rodríguez - Newell's Old Boys - shot with right foot from the centre of the box is blocked. Santiago Silva - Talleres de Córdoba - won a free kick on the left wing. Missed chance. Fabricio Fontanini - Newell's Old Boys - shot with the head from the centre of the box missed to the left. Assist - Víctor Figueroa with a cross after corner. Corner - Newell's Old Boys. Conceded by Juan Cruz Komar. Juan Sills - Newell's Old Boys - won a free kick in defence. Offside - Talleres de Córdoba. Lucas Olaza with a pass, however Carlos Quintana is in offside. Missed chance. Luis Leal - Newell's Old Boys - shot with the head from the centre of the box missed to the left. Assist - Víctor Figueroa with a cross. Goal! Newell's Old Boys 1, Talleres de Córdoba 0. Víctor Figueroa - Newell's Old Boys - shot with right foot from the centre of the box to the top right corner. Assist - Leonel Ferroni with a cross.